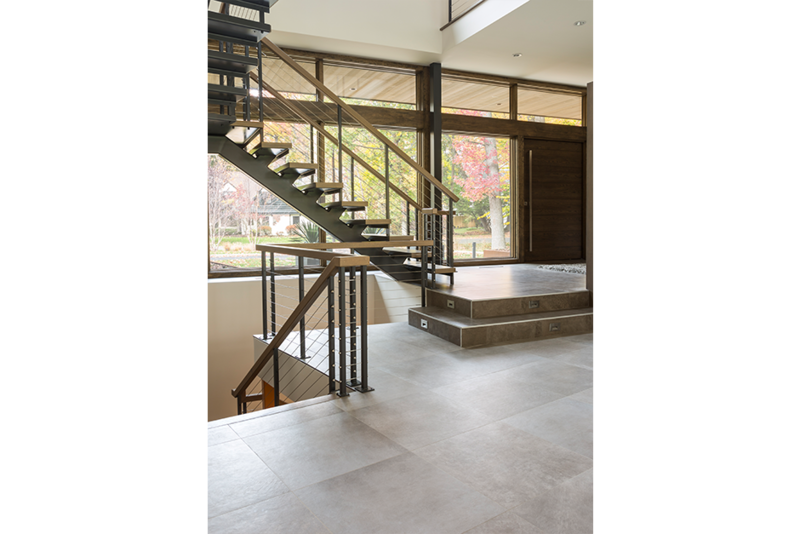 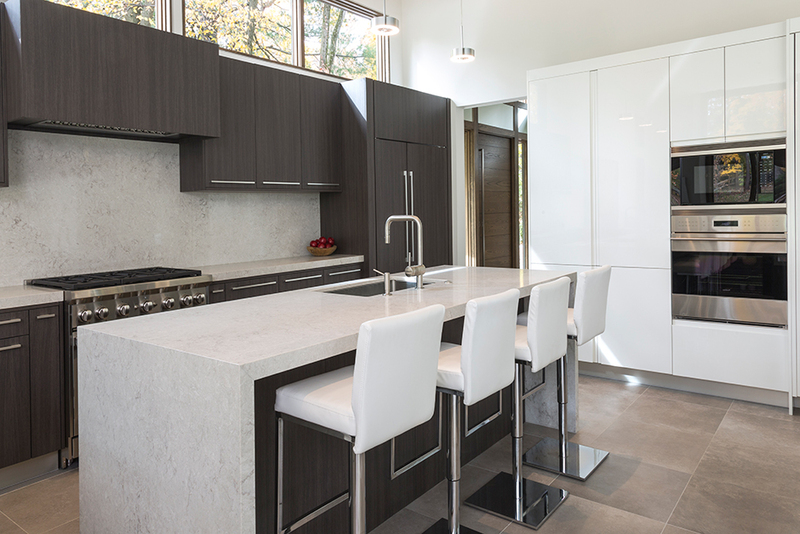 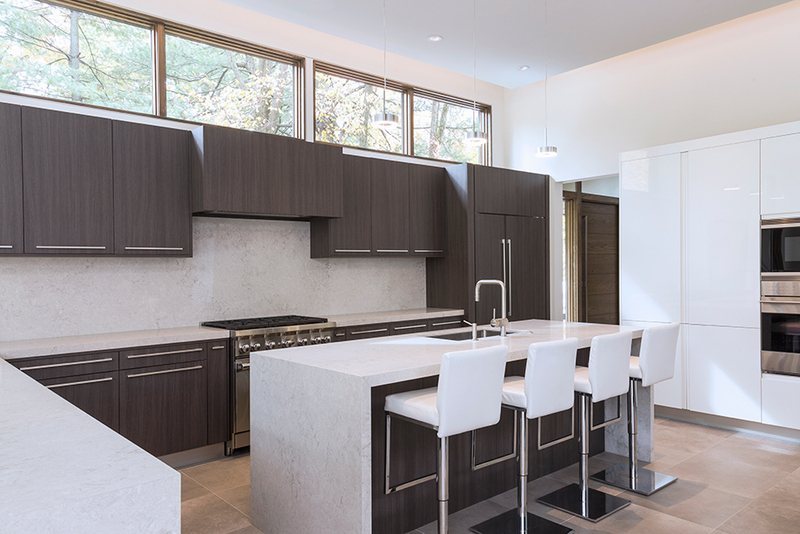 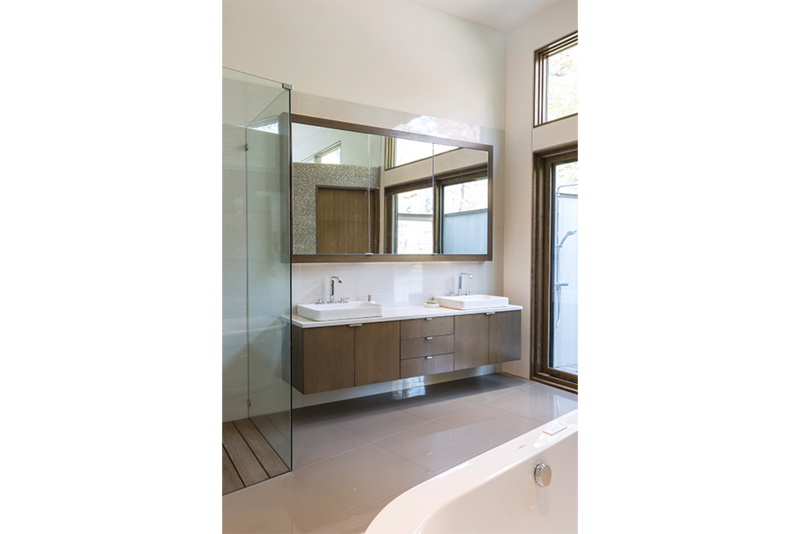 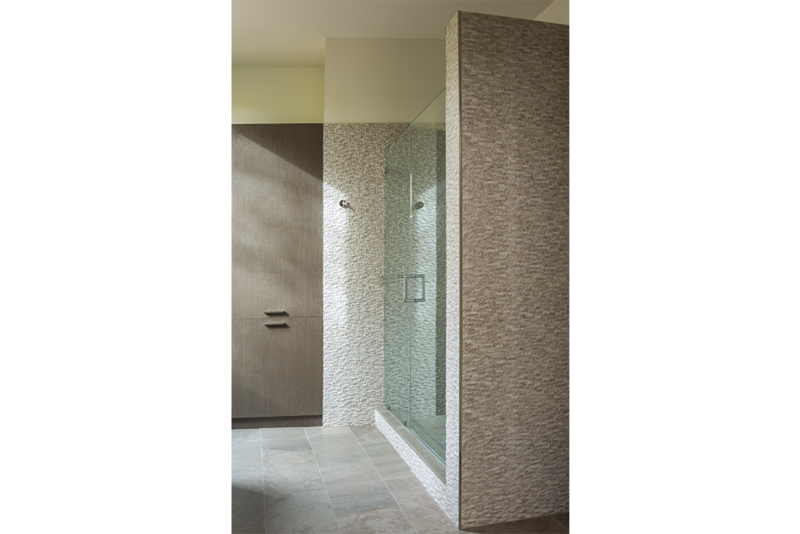 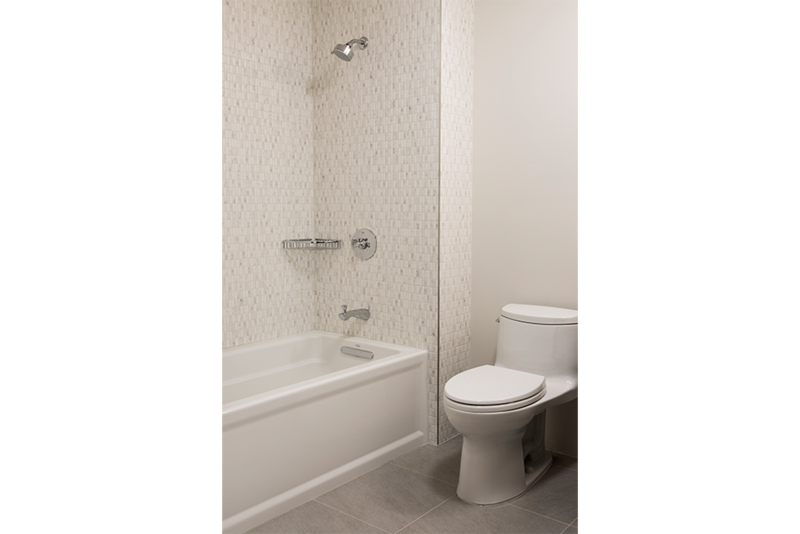 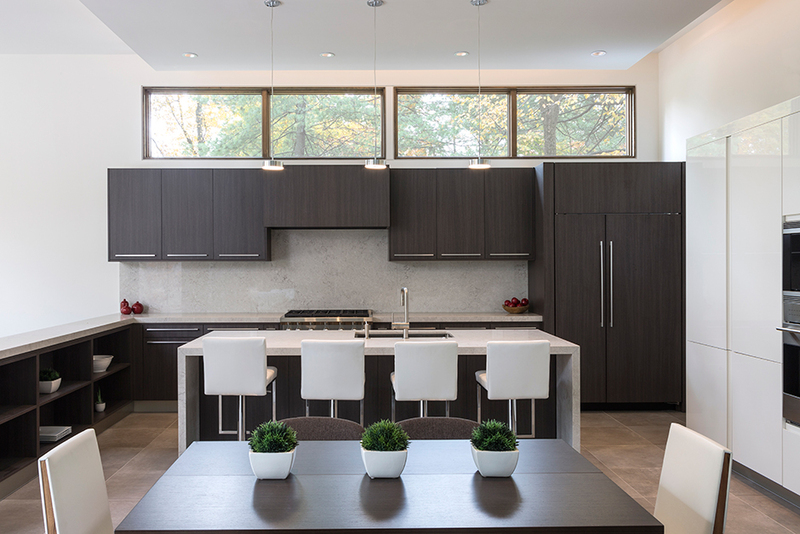 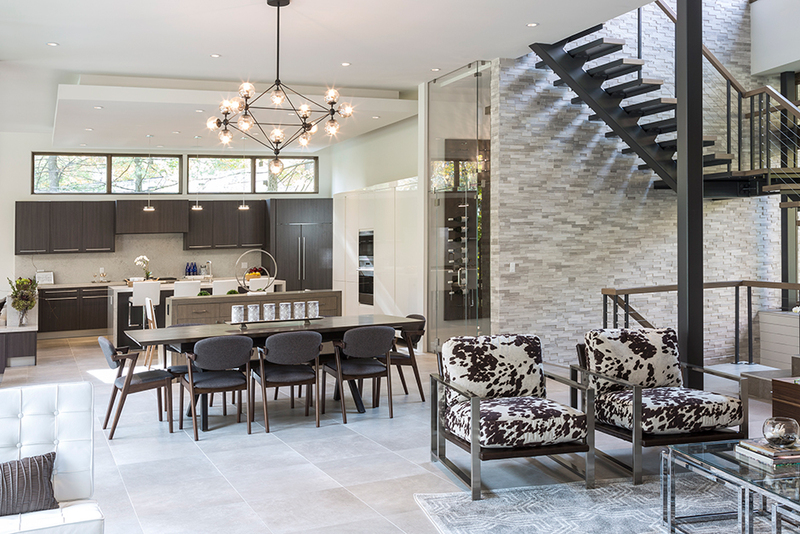 This newly built home, located in Short Hills, NJ, utilizes a variety of Porcelanosa products throughout its design. 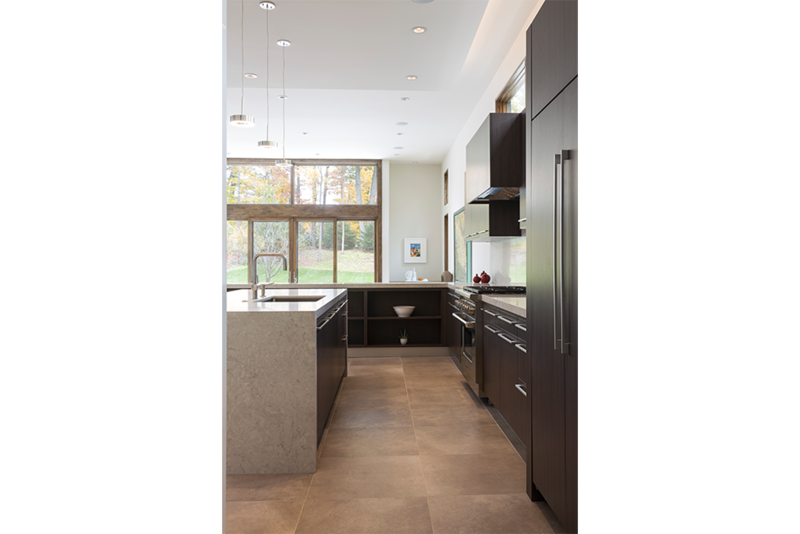 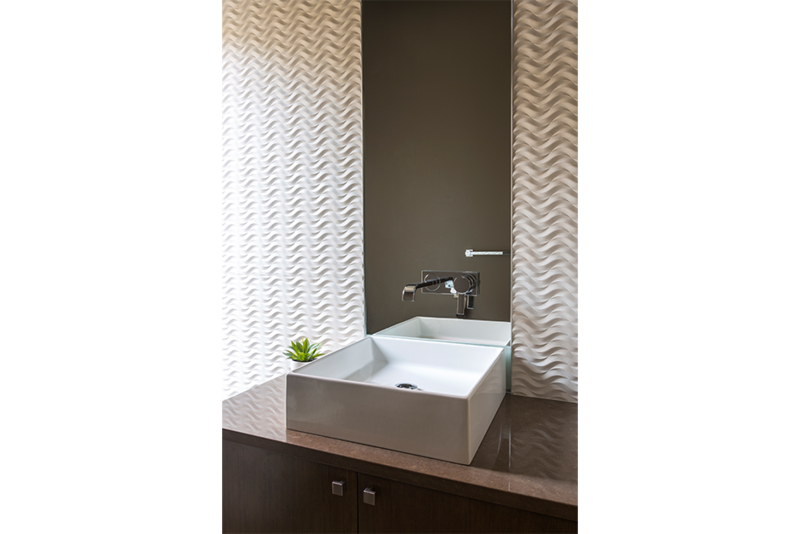 A range of Porcelanosa tiles were used throughout all five of the house’s bathrooms, main living area, and two kitchens. 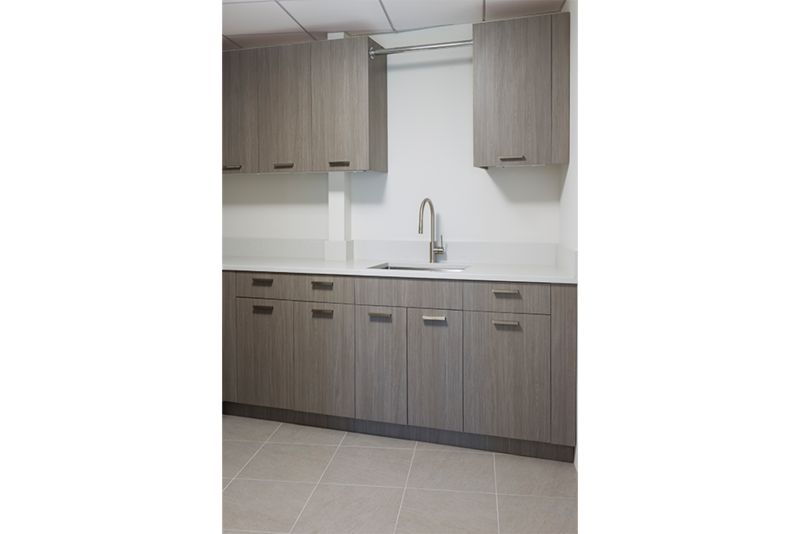 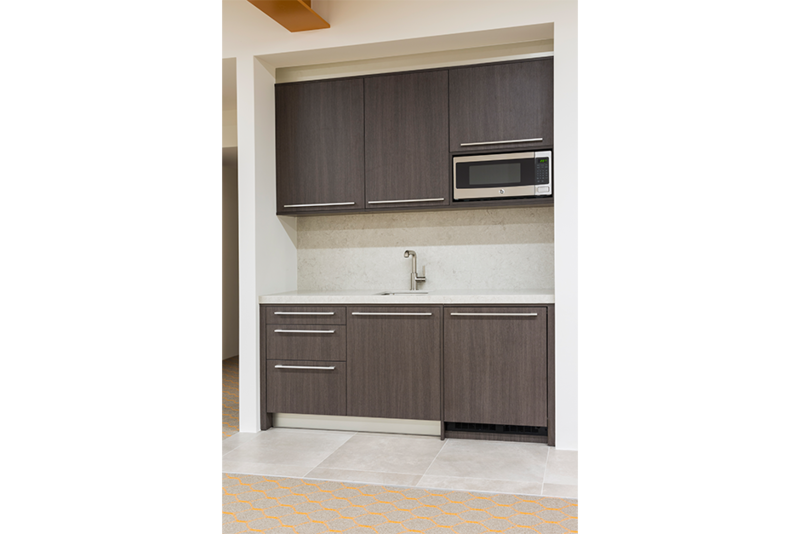 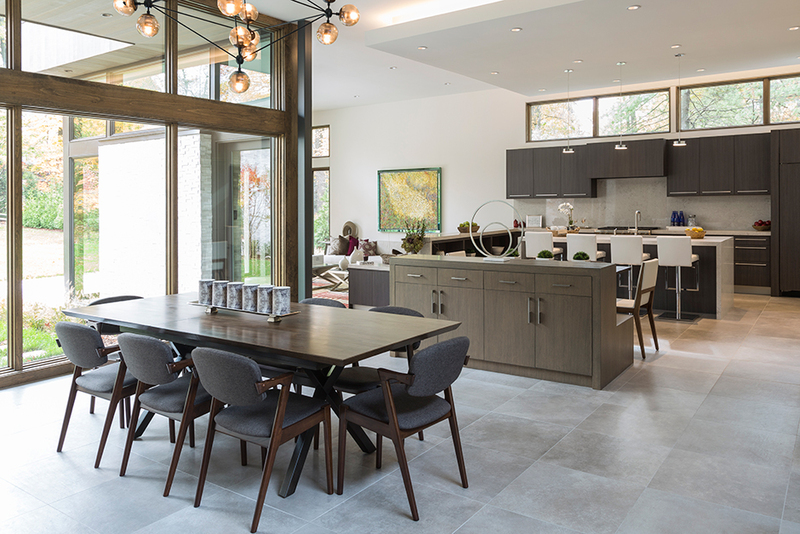 Custom cabinetry for the main kitchen was created using cabinetry models from the Gama line from Gamadecor, which show a rustic dark wood laminate with a contrasting glossy white lacquer to create a modernized look.